Le Club AccorHotels allows members to convert points after each stay automatically without any minimums or in the chunks of 4,000 points to 2,000 miles. Le Club AccorHotels has some exceptions to this rule and one of the bright spots has been the points to Iberia Plus conversions that have been at 1:1 ration instead of the usua; 2:1 that has always applied to BA for example (both use the same Avios currency). You can access Accor’s page for airline partners here and for exceptions here. Now, Le Club AccorHotels has changed the exceptions list and removed entry for Iberia Avios altogether. This means that going forward the points to Avios conversions have been devalued by 50%. You can now convert 4,000 points to 2,000 Avios instead of 3,000 points to 3,000 Avios. For Finnair Plus (Finnair), the conversion rate is 2,000 Rewards points = 2,000 Finnair Plus points. For Qantas Frequent Flyer (Qantas Airways), the conversion rate is 2,000 Rewards points = 2,000 Qantas points. For Velocity Frequent Flyer (Virgin Australia), the conversion rate is 4,000 Rewards points = 4,000 Velocity points. For PhoenixMiles (Air China), the conversion rate is 4,000 Rewards points Rewards = 3 200 miles. For Privilege Club (Qatar Airways), the conversion rate is: 2,000 Rewards points = 1,000 miles. For Flying Blue (Air France KLM), the conversion rate is 2,000 Rewards points = 1,000 miles, with a maximum of 60,000 Rewards points converted per year and per carrier. The minimum number of points convertible is is 2,000 Rewards points. For Skymiles (Delta Airlines), the maximum number of Rewards points convertible per year and per Le Club AccorHotels member is 250,000 Rewards points. For Aeroflot Bonus (Aeroflot), the conversion rate is: 2,000 Rewards points = 1,000 miles. For Safar Flyer (Royal Air Maroc), the conversion rate is: 2,000 Rewards points = 1,000 miles. For United MileagePlus® (United Airlines), the conversion rate is: 2,000 Rewards points = 1,000 miles. For Fortune Wings Club (Hainan Airlines) the minimum threshold is 2,000 Rewards Points = 1,000 Fortune Wings points, with a maximum conversion threshold of 200,000 Rewards points per member, per year. 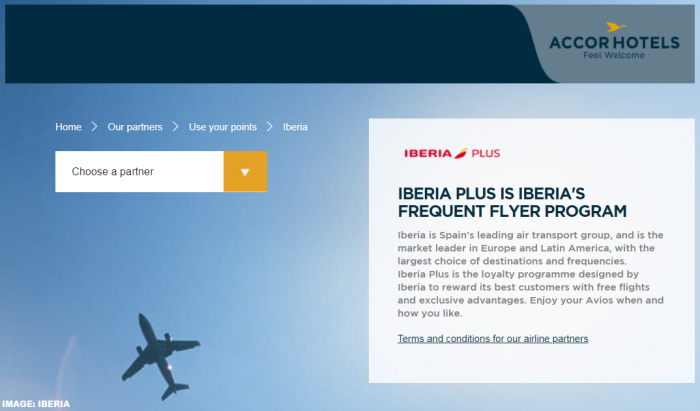 Iberia Plus (Iberia), the conversion rate is 3,000 Rewards points = 3,000 Avios points. This was the only “real” exception on the list above. Just being able to convert at a lower threshold without automatic conversions doesn’t change the conversion ratio itself. Finnair uses kilometers instead of miles so having different ratio with them makes sense. Perhaps there is some value with Air China, Qantas or Virgin America that all offers other than 2:1 ratio for now.